FUYO-1(JERS-1) is an earth observation satellite whose primary objective is to gather data on global land masses while conducting observation for land surveys, agricultural-forestry-fishieries, enviromnental protection, disaster prevention and coastal surveillance, with emphasis on locating natural resources. In order to optimize accuracy in measurements, JERS-1 was equipped with SAR (Synthetic Aperture Radar), which is an active microwave sensor, and OPS, an optical sensor that measures light reflected from the earth's surface ranging from visible light to shortwave infrared light. FUYO-1 is a joint project of NASDA and MITI. NASDA was responsible for the main satellite unit and MITI was responsible for the measuring instruments. 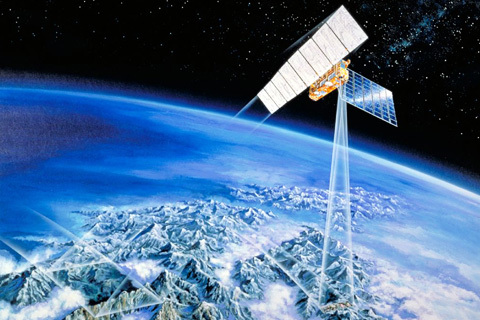 Since its launching in 1992, the satellite had continued to supply observation data to users in Japan and abroad. Though the design life of FUYO-1 was 2 years, the satellite had obtained observational data for more than 6 years, and ended the mission on October 12, 1998.